Kouvola is a town and municipality in southeastern Finland. 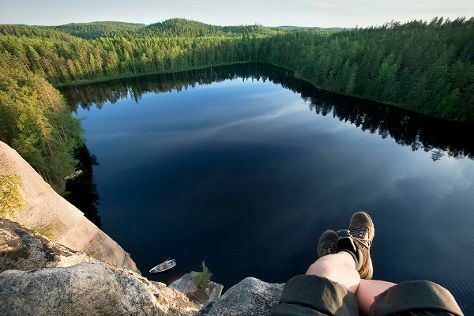 On the 22nd (Wed), explore the wealth of natural beauty at Repovesi National Park. Here are some ideas for day two: get engrossed in the history at World Heritage Site - Verla Groundwood and Board Mill, then look for all kinds of wild species at Hevoshaan Arboretum, and then take a peaceful walk through Niivermaki Nature Conservation Area. To find traveler tips, photos, maps, and other tourist information, use the Kouvola vacation maker tool . Helsinki to Kouvola is an approximately 1.5-hour train ride. You can also drive; or take a bus. May in Kouvola sees daily highs of 18°C and lows of 6°C at night. Finish up your sightseeing early on the 23rd (Thu) so you can catch the train to Lappeenranta. 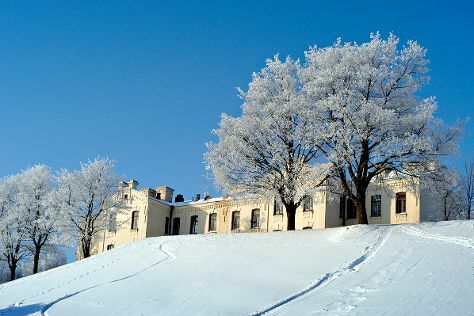 Kick off your visit on the 24th (Fri): explore the historical opulence of Sandcastle Lappeenranta, then examine the collection at Lappeenranta Fortress, then get engrossed in the history at Wolkoff House Museum, and finally explore the activities along Saimaa Canal. To find maps, traveler tips, and more tourist information, refer to the Lappeenranta road trip planning app . Getting from Kouvola to Lappeenranta by train takes about an hour. Other options: drive; or take a bus. 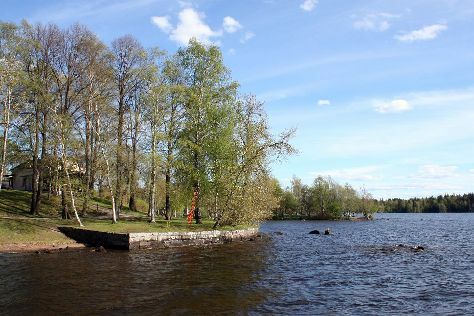 In May, daytime highs in Lappeenranta are 18°C, while nighttime lows are 6°C. 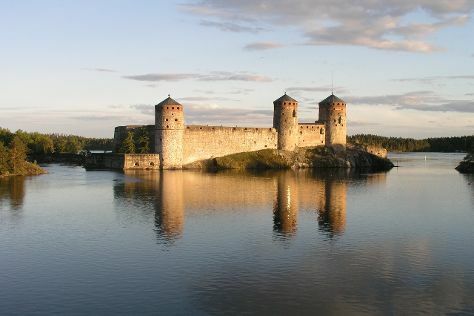 Wrap up your sightseeing on the 24th (Fri) to allow time to drive to Savonlinna. On the 25th (Sat), steep yourself in history at Olavinlinnan Musta Passi, see the interesting displays at Savonlinna Provincial Museum, step into the grandiose world of Olavinlinna Castle, pause for some serene contemplation at Pikkukirkko, then stop by Taito Shop Savonlinna, and finally explore the historical opulence of Savonlinna Cathedral. For traveler tips, maps, ratings, and other tourist information, use the Savonlinna trip planning app . Traveling by car from Lappeenranta to Savonlinna takes 2.5 hours. Alternatively, you can take a train; or take a bus. Expect a daytime high around 17°C in May, and nighttime lows around 4°C. Wrap up your sightseeing on the 25th (Sat) to allow time to drive to Joensuu. Joensuu is a city and municipality in North Karelia in the province of Eastern Finland. Start off your visit on the 26th (Sun): examine the collection at Pohjois-Karjalan museo Hilma, stop by Kauppakeskus Iso Myy, then find something for the whole family at Treetop Adventure Park, then kick back and relax at Honkaniemi Beach, and finally enjoy the sand and surf at Utra Beach. To find where to stay, more things to do, and more tourist information, go to the Joensuu online vacation planner . You can drive from Savonlinna to Joensuu in 2 hours. In May, daily temperatures in Joensuu can reach 16°C, while at night they dip to 4°C. Cap off your sightseeing on the 26th (Sun) early enough to travel to Tampere. Do some cultural sightseeing at Sarkanniemi Theme Park and Tampere Cathedral. Relax by the water at Rauhaniemi Beach and Riihiniemen Uimaranta. There's still lots to do: look for all kinds of wild species at Hatanpaa Arboretum, examine the collection at Vapriikin Museokeskus, and relax and rejuvenate at some of the top local wellness centers. For more things to do, traveler tips, where to stay, and tourist information, go to the Tampere itinerary planner . Getting from Joensuu to Tampere by car takes about 5 hours. Other options: fly. Expect a daytime high around 17°C in May, and nighttime lows around 4°C. Wrap up your sightseeing on the 29th (Wed) to allow time to take a train back home.